Blended architecture (Hybrid VoIP) combines on-premise IP communication appliances with cloud-based services to create a complete, feature-rich business telephone system. The combination of network architecture and IP telephone services provides businesses with a complete set of system features in a highly reliable and expandable system. Despite a large number of features, the hybrid system is extremely easy to use as many tasks can be performed from any PC with a web browser. A distributed approach to business VoIP greatly reduces the amount of traffic on your company's internet connections. For example, an incoming call entering into a distribution queue uses very little bandwidth until someone actually answers the call. 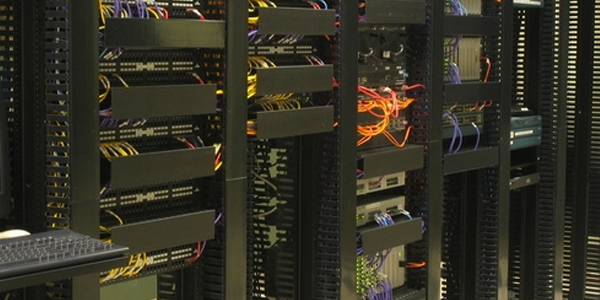 All of the prompts, hold music and announcement messages the caller hears are generated at the company's high-availability data center, not on-premise. Voice mail is also recorded and stored in the data center, not at the customer's site so bandwidth requirements are significantly reduced.